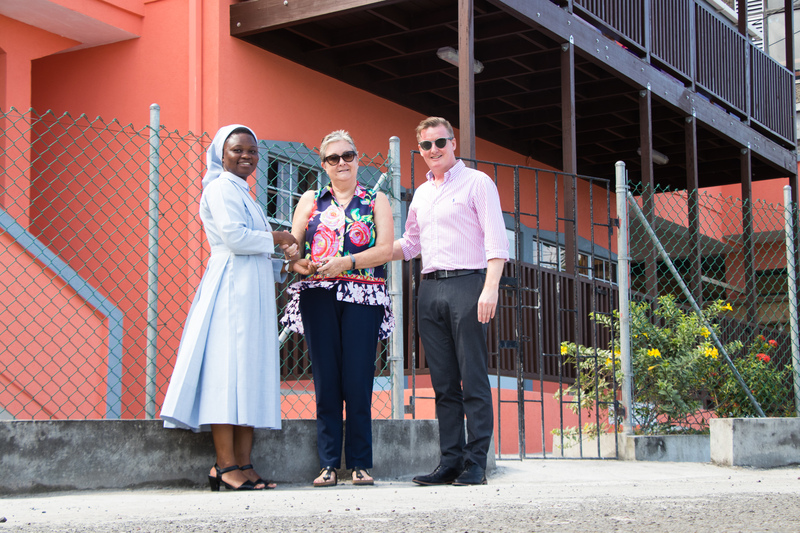 The New Life Organization (NEWLO) was handed over the keys to the Maria Holder Hospitality Centre, following the completion of the second phase of the construction of the ground floor of the Centre on Thursday March 14, 2019. 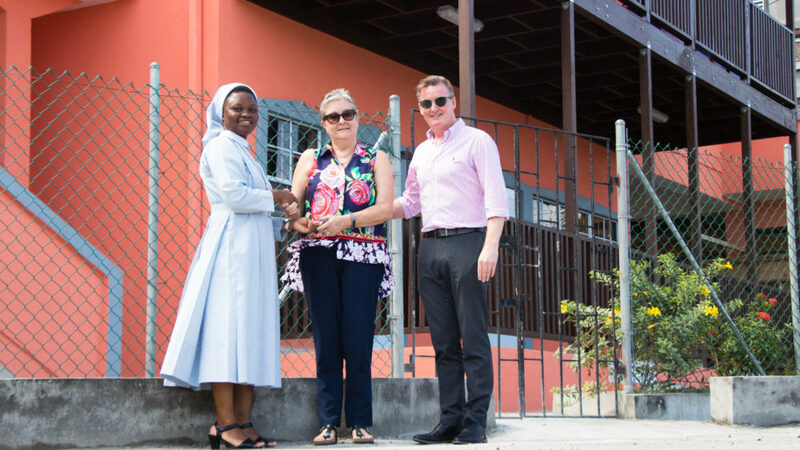 Mrs. Jane Armstrong from the Maria Holder Memorial Trust, Mr. Mark Maguire from Cooper Kauffman Consultancy Ltd, Representatives from NEWLO, Barry’s Engineering and DMJ Construction were present at the Centre at Palmiste, to witness to short handing over ceremony. The contract administrator for the project was Cooper Kauffman Consultancy Ltd; the structural engineering was provided by Barry’s Engineering Company Ltd.; and the general contractor was DMJ Construction Management.